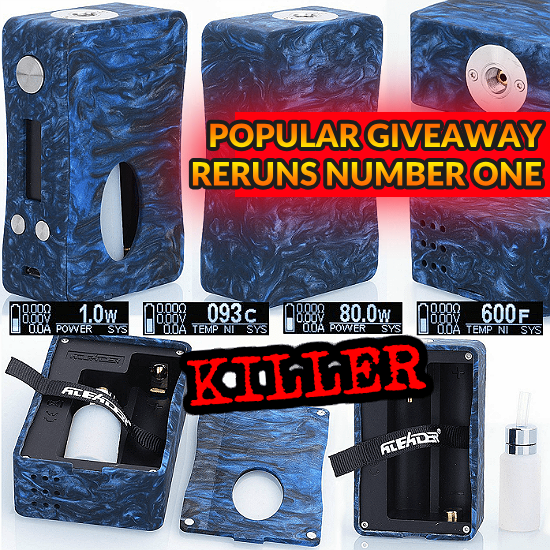 MOST DEMANDED GIVEAWAY WEEKEND #1 - ALEADER KILLER SQUONK MOD! 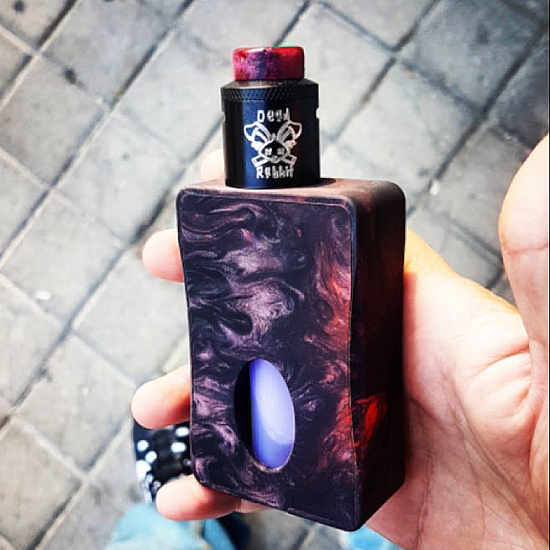 MURDERING THE COMPETITION ONE SQUONK AT A TIME! Want a better chance to win? You know what you have to do - that's right, share us using the social media buttons on the site! 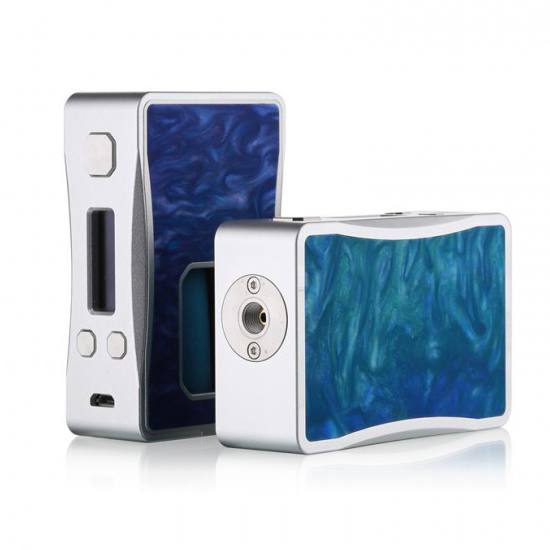 The winner of the lottery #1015 for MOST DEMANDED GIVEAWAY WEEKEND #1 - ALEADER KILLER SQUONK MOD! was Maarika Tamm from Tartu, Estonia on Sep 1, 2018. Want a better chance to win? You know what you have to do - that's right, share us using the social media buttons on the site! 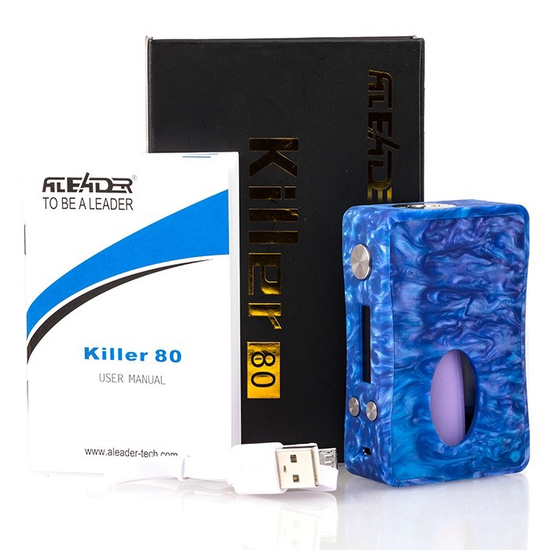 The Aleader Killer 80W Squonk Box Mod delivers a light-weight, bottom-feed device with 80W of maximum power with temperature control. The Killer 80W Squonk Mod showcases a compact structure designed for ergonomic handling with an intuitive OLED screen that is three-button operation. The cut-out section houses a 7ml squonk bottle for convenient utilization with bottom-feeding rebuildables. Powered by a single 18650 battery, the Killer 80W mod runs up to a maximum of 80W with variable wattage adjustment and comprehensive temperature control suite.